Our company has achieved laurels in offering Aluminium Bus Bar. Arihant Aluminium Agencies has put an enviable niche in this tough market competition in the year 1983 as a Sole Proprietorship firm. The company has achieved distinct position within very short time period by ably understanding and accomplishing the demands of large customers. 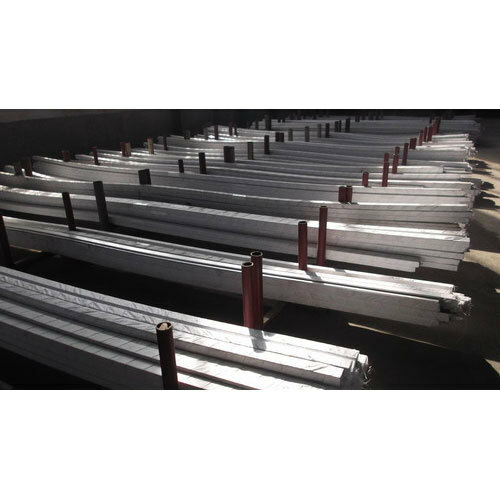 We are the leading trader, dealer, stockist, retailer, supplier and wholesaler a comprehensive array of Aluminum Extrusions, Aluminum Sheet, Aluminum Flat Bar, Aluminum Tube, Aluminum Partition, Aluminum Expanded Grill, Aluminum Window and many others. Our whole assortment is designed by specialized personnel using highly qualitative raw material. We ensure quality as well as reliability of the products. By making use of qualitative raw inputs, our vendors made our entire gamut highly acclaimed for their unmatched attributes and excellence. Customers are repetitively placing orders of the consignment, which reveal our ability of making them immensely satisfied.